Phex is a file sharing tool that allows you to share and download files and that features a very easy to use graphical interface. It will run on Windows, Mac OS X, Linux, Solaris, and other operating systems supporting Java 1.4. Phex offers very advanced configuration options. Much more than many other clients can offer. Phex ships with predefined filters against adult content, spam and scam-files. Phex is also able to constantly snoop traffic that goes through the network to look passively for new download candidates. 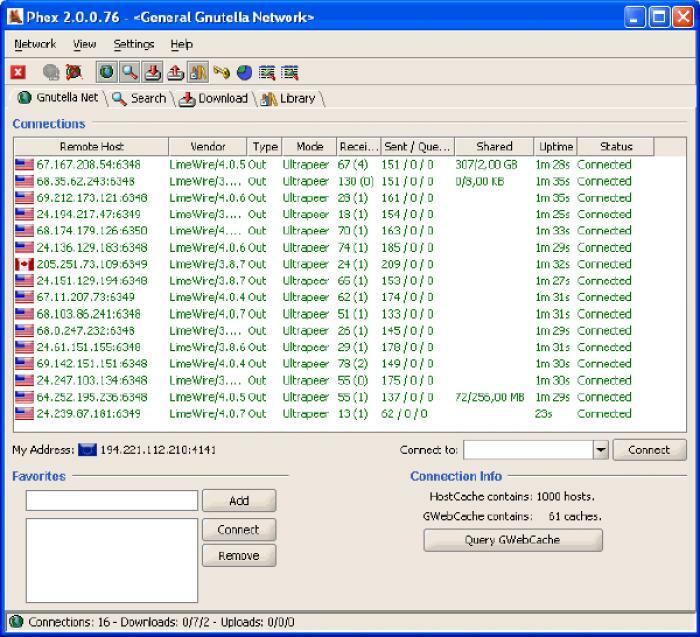 It is compatible with LimeWire, BearShare, Morpheus, and all other P2P Gnutella clients.